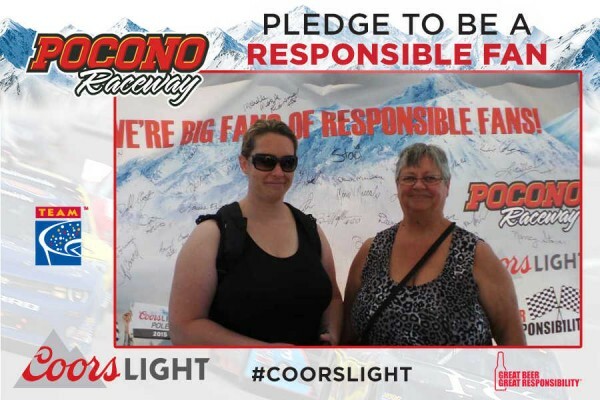 Responsible NASCAR fans earned valuable rewards at the Axalta “We Paint Winners” 400 at Pocono Raceway on Sunday June 7, 2015. The track, Coors Light and Techniques for Effective Alcohol Management (TEAM) Coalition partnered to promote responsible drinking and traffic safety. 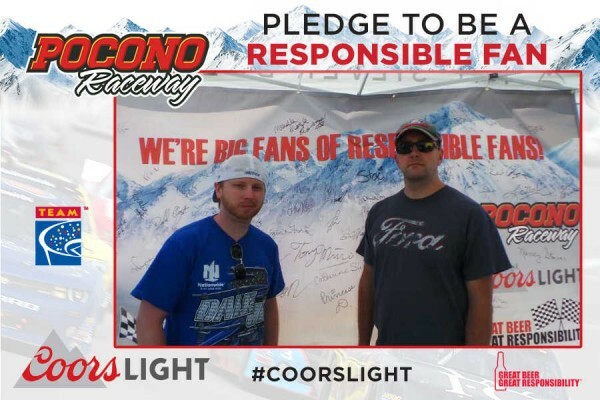 124 fans made the pledge to be a designated driver for their group. Fans who pledged received a free souvenir photo, instant prizes and a chance to be selected as the Designated Driver for the Race. One randomly selected, responsible fan will win the Responsibility Has Its Rewards sweepstakes. 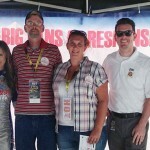 The grand prize includes two tickets and two VIP experiences to the next NASCAR Sprint Cup Series race at Pocono Raceway. 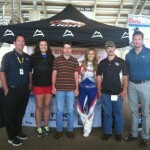 The Designated Driver for the Race from the GoBowling.com 400 at Pocono in August 2014, Staci-Jo Palek, received two tickets and two VIP Experiences to the Axalta “We Paint Winners” 400. 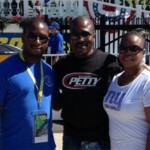 Palek and her guest enjoyed a behind-the-scenes experience before the race on Sunday.